If Jaron “Boots” Ennis actually is the best young fighter to come out of Philadelphia since Meldrick Taylor, who was a 17-year-old gold medalist at the 1984 Los Angeles Olympics and went on to win world championships as a professional at both junior welterweight and welterweight, he is taking a hoped-for path to the top in an entirely different manner. Although Taylor did not always listen to the instructions of his future Hall of Fame cornermen, the late and great tag team of George Benton and Lou Duva, he went into every bout with an intricately formulated fight plan. Benton, nicknamed “The Professor” for his scholarly ability to analyze the strengths and weaknesses of opponents, was particularly adept at getting his fighters mentally ready before the opening bell rang. 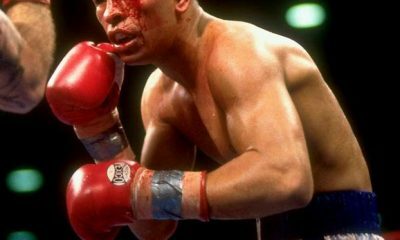 It wasn’t his fault if Taylor, when he found himself in a give-and-take sort of fight, often chose to ignore the script and bang away with reckless abandon, as he did in his classic first showdown with Julio Cesar Chavez. The 21-year-old Ennis (20-0, 18 KOs), who takes on fellow unbeaten Armando Alvarez (18-0, 12 KOs) in the 10-round welterweight main event of a ShoBox-televised fight card this Friday night in Sloan, Iowa, of all places, is less dedicated to the proposition of breaking down tapes of the other guy’s past fights or doing a lot of out-of-the-ring homework. And that’s by design, as his father-trainer, Derrick “Bozy” Ennis, figures it’s better to formulate fight plans on the fly. And why shouldn’t it be that way? There’s always the chance that Alvarez, or anyone else the young and talented “Boots” might face, will throw something completely different and unexpected at the youngest and mostly highly regarded of his three boxing sons. Better to have “Boots” start out by relying on his own considerable strengths and make adjustments as circumstances dictate. So far the Ennis way, which might be described as improvisational boxing, has worked pretty well. Although Jaron is not ranked in the top 15 by any of the four major world sanctioning bodies in what is an unquestionably deep 147-pound weight class , that might owe to his youth, relative inexperience and lack of “name” opponents on his resume thus far. But those who have seen him at work recognize that, yes, there is something there that might soon have to be recognized on a much wider scale. Alvarez, who also is unranked but harbors many of the same hopes of better days ahead that Jaron Ennis does, understands that he is the underdog in Iowa and is being portrayed as another steppingstone for “Boots” to walk over. But scripts aren’t always followed, and especially so if the hot prospect (Ennis comes in on a 10-fight knockout streak) he’s squaring off against doesn’t come with a script to begin with. To understand who Jaron Ennis is, and the burden he carries both as a representative of his family and his hometown, one must look at the mostly respectable but ultimately disappointing careers of older brothers Derek “Pooh” Ennis and Farah Ennis. “Pooh,” a retired super welterweight and middleweight who is now 37 years of age, posted a 24-5-1 with 13 KO victories, but the eldest of Bozy’s boxing sons had to settle for holding only Pennsylvania and USBA 154-poud championships. Farah, 35, went 22-2 with 12 wins inside the distance, briefly held the NABF super middleweight belt. Jaron, as of now, is refraining from yielding to temptations of the flesh. 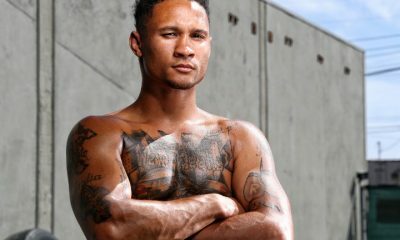 He is co-managed by his father and Las Vegas-based Cameron Dunkin, the Boxing Writers Association of America’s 2007 Manager of the Year who has handled any number of big-time fighters, including current WBO welterweight titlist Terence Crawford, arguably the best pound-for-pound fighter on the planet. Dunkin does not sign new members to his managerial stable unless they have very high ceilings. Farhood, despite his favorable impressions of Jaron, sounds a note of caution. Both Derek and Farah, he noted, lost in their first and only appearances on ShoBox. The Alvarez bout will be Jaron’s ShoBox debut. “I know how much he wants to do well for his family, and for Philadelphia,” Farhood said. “Jesse Hart is a nice fighter and he’s still out there, but he lost his biggest fight (a points loss to WBO super middleweight champion Gilberto Ramirez). Danny Garcia … it just doesn’t seem to me that he’s as associated with Philadelphia as some Philly fighters because he hasn’t fought there in a long time. 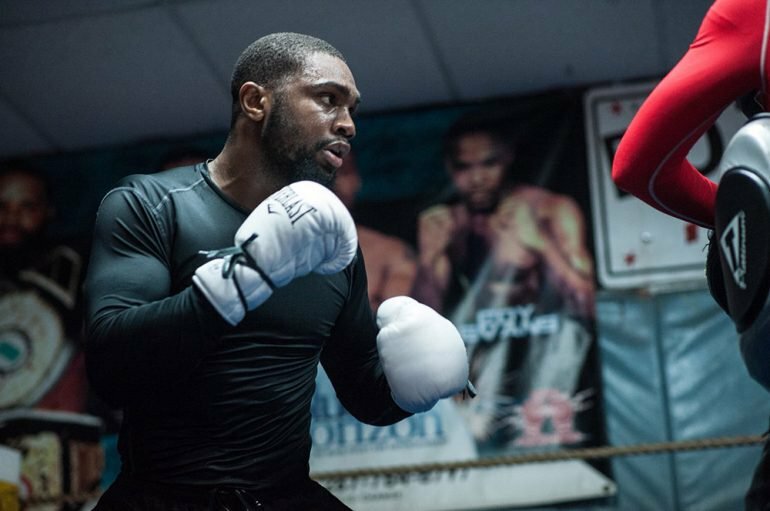 The Avila Perspective, Chapter 8: Competing Cards in N.Y. and L.A.
Rival boxing shows compete this Saturday as light heavyweight world titlists are featured in New Jersey while former world champion welterweights and middleweights tangle in New York. A mere 150 miles separate the two fight cards staged in Uniondale, N.Y. and Atlantic City. But there’s no mercy inside the boxing ring and certainly no mercy between boxing promotions. While Main Events stages WBO light heavyweight titlist Sergey Kovalev and WBA light heavyweight titlist Dmitry Bivol in separate bouts, DiBella Entertainment stacks former champs Andre Berto against Devon Alexander in a welterweight clash. 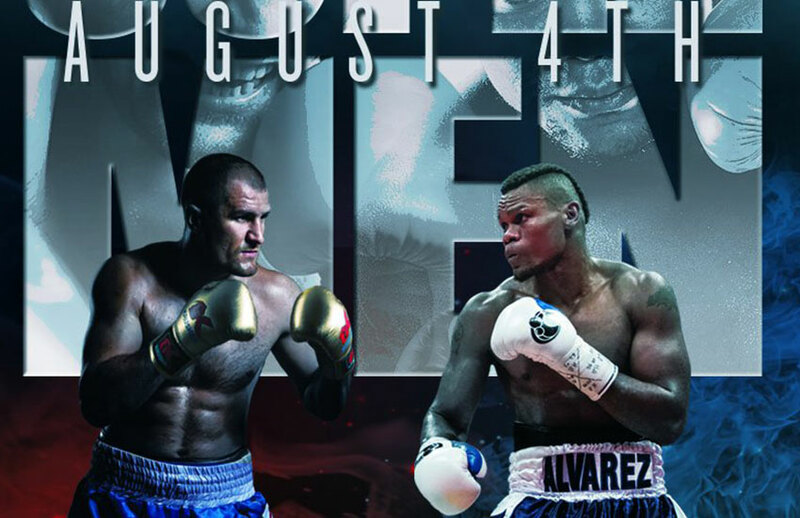 Russia’s Kovalev (32-2-1, 28 KOs) has lost some luster and hopes to reboot his popularity with a win against Canada’s Eleider Alvarez (23-0, 11 KOs). But he will be directly competing against WBA champ Bivol (13-0, 11 KOs), also of Russia, who defends against Isaac Chilemba (25-5-2) of South Africa. HBO will televise both light heavyweight title fights. Bivol, 27, has slowly, almost glacier-like slow, picked up fans along the way by training in Southern California. The quiet unassuming fighter with a conservative style and cobra-like quickness appeals to the fans. That, of course, would mean a date with Kovalev should both fighters win on Saturday. Nothing is certain. Kovalev, now 35, has lost some of that fear factor aura since losing back-to-back fights to now retired Andre Ward. Though he’s cracked two opponents in succession by knockout, many are pointing to the potential showdown with Bivol as the moment of truth. It’s time for the build-up and it starts on Saturday Aug. 4, on HBO. Five former world champions stack the fight card at Nassau Coliseum in Uniondale, New York. Former welterweight world champs Andre Berto (31-5, 24 KOs) and Devon Alexander (27-4-1, 14 KOs) lead the charge in a 12-round clash. 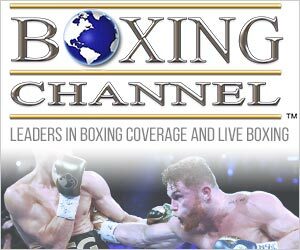 FOX will televise the main event and others at 4 p.m. PT/7 p.m. ET. Berto, 34, has been fighting once a year so it’s difficult to determine if age has crept into his reflexes. When he knocked out Victor Ortiz in a rematch two years ago Berto looked sharp and dangerous. But against Shawn Porter a year ago, the crispness seemed gone and he quickly lost by knockout. Alexander, 31, has the advantage of being a southpaw. But he always seems to do the minimum when he fights. Last February he slowed down and allowed Victor Ortiz to steal the fight. All the commotion by the announcers was for naught. Defense does not win fights, it allows you to win fights. The lack of offense in the latter rounds cost Alexander a win in a match that entered the books as a majority draw. It’s a curious matchup of former world champions. Peter “Kid Chocolate” Quillin (33-1-1, 23 KOs) the former WBO middleweight titlist meets J’Leon Love (24-1-1, 13 KOs) in a super middleweight bout set for 10 rounds. It’s another intriguing fight especially between two fighters with great personalities. Quillin, 35, was ambushed by Daniel Jacobs in the first round a year ago in losing the title. Was it bad luck, age or both? As a fighter the Brooklyn-based prizefighter has a ton of followers who like him as a person. Few are as classy as Quillin. Love, 30, has long been a mainstay in Las Vegas and since his amateur days his abilities have been touted. 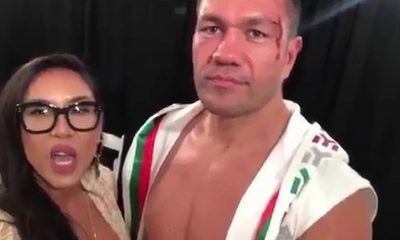 Throughout the years Love has shown that charm and friendliness can go a long ways, even in the bitter wars of prizefighting. But the time has come to see if he belongs in the prizefighting world. Quillin will present an immense challenge for Love. A number of other interesting fights are slated to take place among former world champions including Sergey Lipinets who lost the super lightweight title to Mikey Garcia this past winter. There’s also Luis Collazo in a welterweight match. One world title fight does take place on the card. Female WBA super middleweight titlist Alicia Napoleon (9-1) makes the first defense of her title against Scotland’s Hannah Rankin (5-1). It’s a 10 round bout and the first time Napoleon defends the title since winning it last March against Germany’s Femke Hermans. Ironically, Hermans now has the WBO super middleweight title after defeating former champ Nikki Adler by decision this past May. Next week the city of Angels will be packed with three fight cards in four days. First, on Wednesday Aug. 8, 360 Promotions stages Abraham Lopez (9-1-1, 3 KOs) versus Gloferson Ortizo (12-0-1, 6 KOs) in the main event at the Avalon Theater in Hollywood, Calif. This is Filipino fighter Ortizo’s ninth fight this year. You read that correctly. All of Ortizo’s fights have taken place across the border in Tijuana. The 32-year-old now returns to California against another Californian in Lopez. He’ll be looking for his fourth consecutive knockout, but Lopez, 22, has not lost a fight since his pro debut. Inactivity might come into play for Lopez who hasn’t stepped in the boxing ring in over a year. New York’s Brian Ceballo (3-0) returns in a six round welterweight bout against local fighter Tavorus Teague (5-20-4). Ceballo, who is promoted by 360 Promotions, looked good in his last appearance. 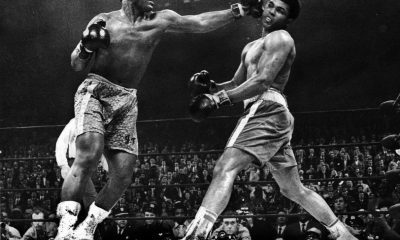 The amateurish punches seen in his first two bouts were gone by his third pro fight. His opponent Teague has ability and can give problems if Ceballo takes his foot off the pedal. One of Gennady “GGG” Golovkin’s training partners Ali Akhmedov (11-0, 8 KOs) makes his California debut when he meets Jorge Escalante (9-1-1, 6 KOs) in a light heavyweight match. Female super lightweight Elvina White (2-0) is also slated to compete. The entire fight card will be streamed at www.360promotions.us and on the 360 Promotions page on Facebook. First bell rings at 6:15 p.m.
Belasco Theater in downtown L.A. is the site of Golden Boy Promotions fight card on Friday Aug. 10. A pair of young prospects will be severely tested. San Diego’s Genaro Gamez (8-0, 5 KOs) meets Filipino fighter Recky Dulay (10-3, 7 KOs) for the vacant NABF super featherweight title. For Dulay it’s always kill or be killed. Five of his last fights have ended in knockout wins or losses. Gamez, 23, seems to thrive under pressure and broke down two veterans in back-to-back fights at Fantasy Springs Casino. Now he returns to the Belasco, a venue where he has struggled in the past. But this time he’s the main event. Another being severely tested will be Emilio Sanchez (15-1, 10 KOs) facing veteran Christopher Martin (30-10-3, 10 KOs) who is capable of beating anyone. 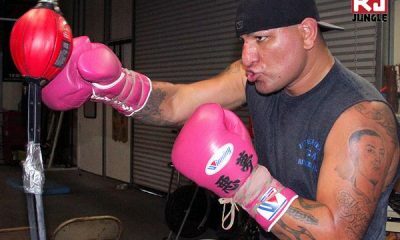 Sanchez, 24, lost by knockout in his last fight this past March. He’s talented and fearless and one mistake cost him his first loss as a pro. He’s not getting a break against Martin, a cagey fighter who has upset many young rising prospects in the past. Martin also has experience against world champions. It’s an extremely tough matchup for Sanchez. The fight card will be televised by Estrella TV beginning at 6 p.m.
On Saturday, boxing returns to the Avalon Theater in Hollywood. The main event is a good one as Puerto Rico’s Jesus Rojas (26-1-2, 19 KOs) defends the WBA featherweight world title against Southern California’s Jojo Diaz (26-1) in a 12 round clash. It’s power versus speed. Rojas, 31, is one tough customer. When he took the interim title against Claudia Marrero last year he chased down the speedy southpaw Dominican and blasted him out in the seventh round. 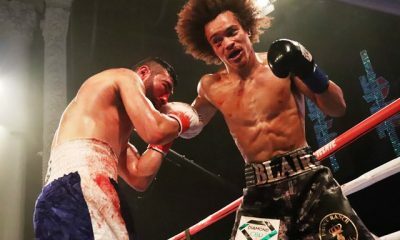 Several months earlier he obliterated another Golden Boy prospect, Abraham Lopez (not the same Abraham Lopez that is fighting on the 360 Promotions card), in eight rounds. Now he has the title and defends against the speedy southpaw Diaz. Diaz, 25, just recently lost a bid for the WBC featherweight title against Gary Russell Jr. Though he lost by decision three months ago, that fight might be easy in comparison to this challenge against Rojas. The former Olympian won’t be able to take a breath against the Puerto Rican slugger who is about as rough as they come. Two more undefeated Golden Boy prospects get a chance to eliminate each other when Philadelphia’s Damon Allen (15-0-1) meets East L.A.’s Jonathan Navarro (14-0, 7 KOs) in a super lightweight fight set for 10 rounds. Phillie versus East LA is like fire versus fire in the boxing ring. Boxers originating from those two hard-bitten areas usually have go-for-broke styles that result in pure action. Allen versus Navarro should not disappoint. Allen, 25, is not a hard puncher but he’s aggressive and like most Philadelphia fighters, he’s not afraid to mix it up. Navarro, 21, lives in East L.A. but trains in Riverside under Robert Garcia. He’s slowly finding his timing and will be facing the fastest fighter since his pro debut in 2015. Others featured on the card will be Hector Tanajara, Aaron McKenna and Ferdinand Kerobyan. The card will be streamed on the Golden Boy Fight Night page on Facebook beginning at 6 p.m.
Manny Pacquiao isn’t quite ready to retire, and more big-money fights against high-level competition seem to be on the 39-year-old’s way. Pacquiao (60-7-2, 39 KOs) looked exceptionally sharp in his seventh-round knockout win over former junior welterweight titleholder Lucas Matthysse on July 15 at Axiata Arena in Kuala Lumpur, Malaysia. It was Pacquiao’s best performance in at least four years, netting Pacquiao a secondary world title at welterweight along with a slew of renewed public interest in the boxing superstar’s career. But what comes next for the only fighter in the history of boxing to capture world titles in eight different weight classes? TSS takes a detailed look at the potential opponents for one of the sport’s most celebrated stars. Pacquiao looked good enough against Matthysse to suggest he’d make a viable candidate to face either Terence Crawford or Vasyl Lomachenko next. Crawford is ranked No. 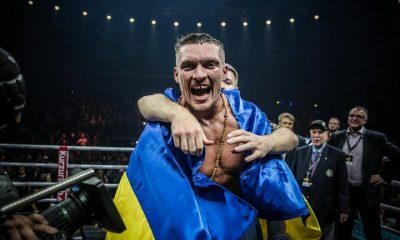 2 on the Transnational Boxing Rankings Board’s pound-for-pound list while Lomachenko slots at No. 1. While Pacquiao is no longer under contract with longtime promoter Bob Arum at Top Rank, most industry insiders expect he will continue working with Arum’s team in some capacity so long as his career keeps moving forward. Pacquiao started his own promotional venture, MP Promotions, to co-promote the Matthysse bout with Oscar De La Hoya, but Top Rank was still involved in the fight which is why the bout ended up streaming on ESPN+. Top Rank’s two hottest commodities at the present are Ring Magazine and WBA lightweight champ Lomachenko and welterweight titlist Crawford. 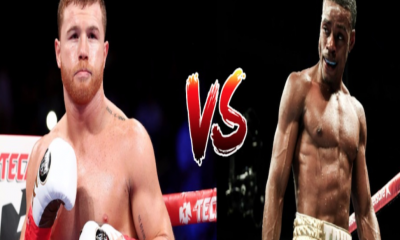 Both are highly-regarded, multi-division world titleholders in the primes of their careers who are universally considered the top fighters in boxing. Lomachenko and Crawford would each present a unique set of problems for Pacquiao stylistically. Of the two, Pacquiao probably matches up best with Lomachenko at this point in his career. Crawford (33-0, 24 KOs) is much larger and heavier than both Pacquiao and Lomachenko, and unless Pacquiao just really wants to test himself against someone incredibly dangerous, it’d probably be best for Team Pacquiao to avoid fighting Crawford at all costs. Crawford would be a heavy favorite against Pacquiao and most boxing insiders don’t believe this version of Pacquiao could compete with Crawford. Lomachenko (11-1, 9 KOs) is naturally smaller than Pacquiao and has never fought above 135 pounds. If Pacquiao could lure Lomachenko to 140 pounds or above, he’d find himself in a winnable fight against a top-notch opponent. Lomachenko would probably be the slight favorite based on age alone but Pacquiao’s power and athleticism would give him a realistic chance to pull the upset. Former junior welterweight titleholder Amir Khan has long been angling for a bout against Pacquiao. Khan faces Samuel Vargas on Sept. 8 in another comeback bout against lower level competition. Khan (32-4, 20 KOs) bravely moved up to middleweight to fight Canelo Alvarez in 2016 but was knocked out in the sixth round. He left the sport for a spell but returned to boxing in February as a welterweight with a sensational first round knockout win over Phil Lo Greco. A win over Vargas puts Khan in good position to secure a bout with Pacquiao, and the fight is a reasonable move by both camps. Pacquiao would probably be the heavy favorite, but Khan’s speed and long reach give him a decent chance to pull the upset. Former welterweight titleholder Jeff Horn won a controversial decision over Pacquiao last year in Australia. The bout grabbed huge ratings for ESPN and there have been many debates since it happened as to which fighter truly deserved the nod from the judges. Horn (18-1-1, 12 KOs) doesn’t possess elite level talent, but he’s huge compared to Pacquiao and fights with such ferocity that the two can’t help but make an aesthetically pleasing fight together. Pacquiao would be the heavy favorite to defeat Horn if the two fight again. 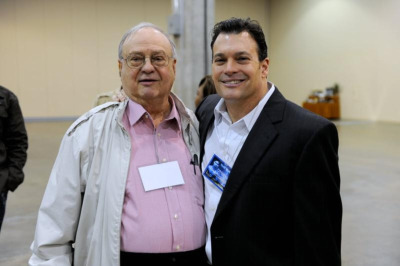 Boxing’s current political climate and the ongoing battle of promoters and television networks for the hearts and minds of boxing fans usually leaves many compelling fights between top level stars off the table. Fighters promoted by Top Rank and Golden Boy are almost never able to secure bouts with fighters signed to Al Haymon to appear under the Premier Boxing Champions banner and vice versa. But Pacquiao’s free agent status opens up new and interesting possibilities for the fighter to pursue noteworthy PBC fighters. There had been lots of chatter about Pacquiao facing Mikey Garcia next. Garcia (39-0, 30 KOs) has been decimating competition at both lightweight and junior welterweight. Garcia is considered by most experts to be one of the top 10 pound-for-pound fighters in the sport. He’s the TBRB junior welterweight champion and a unified lightweight titleholder (WBC, IBF). While Garcia is hoping to land a big money bout against IBF welterweight titleholder Errol Spence, most boxing experts believe the jump up to 147 pounds would be too much for the diminutive Garcia who began his career at featherweight. A better welterweight target for Garcia would be Pacquiao who also began his career in a much lower weight class. Spence (24-0, 21 KOs) is probably the best of the PBC welterweights. He’s considered by many to be on par with Crawford at 147 so it would be an incredibly dangerous bout for Pacquiao to go after at this point in his career. But Spence is aggressive and fights in a style that Pacquiao traditionally matches up very well against. Spence would be the favorite based on size, age and skill. Slightly less dangerous to Pacquiao would be facing the winner of the Sept. 8 battle between Danny Garcia and Shawn Porter. Garcia (34-1, 20 KOs) and Porter (28-2-1, 17 KOs) are fighting for the vacant WBC welterweight title and the possibility of capturing another world title in his career could sway Pacquiao to seek out the winner. Pacquiao could find himself a slight favorite or underdog depending on which of the two fighters he would face, but both would be winnable fights. The WBA welterweight champion is Keith Thurman. Thurman (28-0, 22 KOs) is a good boxer with tremendous power but Pacquiao’s speed and athleticism would probably give him the leg up in that potential matchup. Thurman hasn’t fought in over 16 months though and recent pictures suggest he’s not in fighting shape at the moment, so the likelihood of a Pacquiao vs. Thurman fight is pretty much nil. Some fans want Pacquiao to face Adrien Broner. Broner (33-3-1, 24 KOs) is a solid contender at 147 but probably doesn’t have the skill to seriously compete with Pacquiao. Pacquiao would be a significant favorite and would likely stop Broner if the two were able to meet in a boxing ring. Pacquiao lost a unanimous decision to Floyd Mayweather Jr. in 2015, but the circumstances surrounding the fight, and the fact it was the biggest box office bash in the history of the sport, have led many to suspect the two fighters would meet again in a rematch. Yes, Mayweather (50-0, 27 KOs) is retired, but he’s unretired several times in his career for big money fights including last year’s crossover megafight with UFC star Conor McGregor. While it seems unlikely to happen, Mayweather-Pacquiao 2 would still be a huge worldwide event worth millions of dollars to both fighters so those following the sport can never say never to the idea of it happening again. While Mayweather is 41, he’d still get the nod as the betting favorite should he fight Pacquiao again based on what happened in the first fight as well as his stylistic advantage over Pacquiao. McGregor’s bout against Mayweather last year was such a financial success and the MMA star made so much more money in the boxing ring than he did as a UFC fighter that the idea of him returning to the sport to face Pacquiao isn’t as far-fetched as one might think. Pacquiao vs. McGregor would be an easy sell to the general public. According to CompuBox, McGregor landed more punches against Mayweather than did Pacquiao, and the general consensus is that Mayweather-McGregor was more fun to watch than Mayweather-Pacquiao. The size difference between the two would lead to an easy promotion. McGregor is a junior middleweight and Pacquiao has only competed at the weight once back in 2010. Despite all that, Pacquiao would be a significant favorite to defeat McGregor and rightly so. He’s too fast and too good a boxer, and his aggressive style would likely lead to a stoppage win. Pacquiao’s top targets should be Mayweather, McGregor and Lomachenko. Pacquiao would stand to make the most money facing either Mayweather or McGregor. 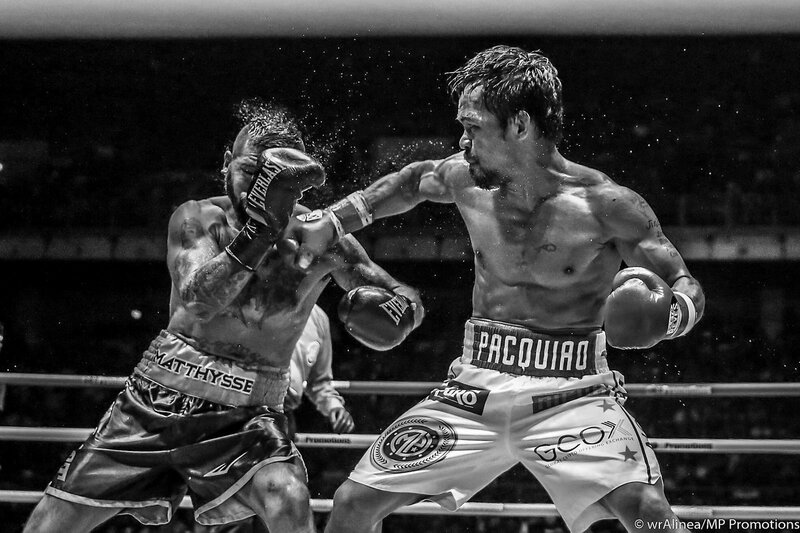 Pacquiao’s reportedly injured shoulder heading into 2015 bout left many wondering how the fight might be different had the Filipino gone into things at his best, and Mayweather’s age might play more of a factor in the second fight than it did in the first. A Pacquiao-McGregor fight would be a worldwide spectacle, one Pacquiao would be heavily favored to win. Besides, it’d be interesting to see if Pacquiao could stop McGregor sooner than historical rival Mayweather. Finally, Lomachenko might be trying to climb up weight classes too fast, and Pacquiao would certainly be fit to test the validity of that theory. It’d be one of the biggest fights in boxing and a win for Pacquiao would be another huge feather in the cap of one of boxing’s true historically great champions.